Work two strands together throughout. This will give the stiffness needed. 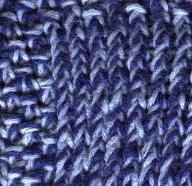 Knit stitches tightly. I used two colors but you could use two strands of the same color if you wanted. 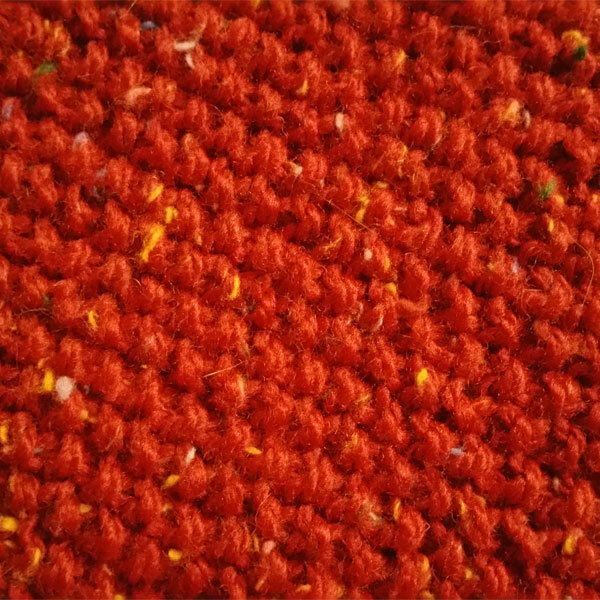 Work pattern using both color yarns together. Cast on 48 stitches. Join to form ring being careful to not twist the stitches, knit around. At the end of the row, place a marker on the needle. Continue knitting in the round for 8 more rows. Round 1: *K1, P1* around. Round 3: *P1, K1* around. Round 5: *K1, P1* around. Purl next round, decreasing 3 stitches evenly around. This becomes the base to help it stand up. Break yarn off long. With darning needle, sew through remaining stitches on needles, pull up and weave yarn through to finish. Weave in all loose ends.